Doncaster RLFC kept on course for the Betfred League One play-offs when beating Keighley Cougars 50-6 at Cougar Park. The Dons, whose first half display had been patchy, added to their lead on the half hour when Tali put winger Richard Owen over from close range out wide. 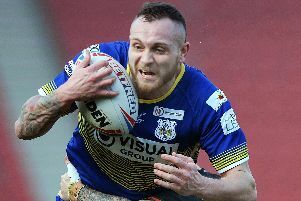 The Dons were reduced to 12 men on 34 minutes when Australian Jordie Hedges was sent off for a dangerous spear tackle on centre Cameron Leeming. Perhaps sensing that the game was not beyond them due to Hedges’ dismissal, Keighley regrouped and but for Nathan Conroy dropping the ball over the line in the act of scoring they would have gone in just ten points down.